Based in London, UK. Specialises in governance, civil society, strategic reviews and policy and advocacy monitoring and evaluation. Antonella specialises in monitoring, evaluation and learning of advocacy and other types of development programmes and has extensive experience in supporting participatory monitoring, learning and evaluation processes. 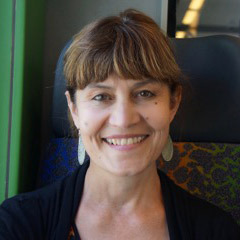 As Head of Impact Assessment in ActionAid International (2002-2005) Antonella supported the development and introduction of ActionAid’s Accountability, Learning and Planning System (ALPS), an organisation-wide system that integrated the processes of stakeholder engagement, accountability and learning into planning. Since becoming a freelance consultant in 2005 she has undertaken a number of multi country evaluations and consultancies with a broad range of institutions INGOs, grass roots civil society organisations and global coalitions and networks and donor agencies. A strong focus of her work has been on governance, gender and inclusion and citizen engagement and she has carried out numerous evaluations and reviews of campaign and advocacy initiatives, as well as training and design of monitoring and evaluation systems. More recently Antonella has been involved in supporting organisations involved in parliamentary strengthening work to develop appropriate monitoring and learning systems to support the organization to consolidate learning and understand more about the effectiveness of its work with parliamentarians, officials, partners and other key stakeholders. Having worked at both micro and macro levels, Antonella is able to provide ‘big-picture’, international perspectives to review processes while at the same time, recognizing the challenges of micro-level realities of program and organizational demands.